When Microsoft did some research on the average person’s attention span, they discovered that it has significantly shortened since the year 2000. It now just lasts about 8 seconds — that’s even shorter than that of a goldfish! Speaking of attention span, users nowadays spend about a split-second scanning through their emails. As a business owner, you need to ensure that you not only capture their attention but also sustain their interest. Email marketing is still one of the most successful ways to convert readers, nurture leads, and raise revenue for your business. It also helps increase brand awareness for your company while providing you with the tools to monitor the performance of your campaigns, such as click-through rates, brand mentions, and profile visits. Knowing your audience is an important step in optimizing your marketing emails before sending it out to your subscribers. You can get a clear idea of who they are by creating target personas. Identify the age, gender, address, occupation, and income of your ideal customer or target audience. By having a clear target persona, it’s easier for you to plan out the content of the email you’re going to send. Another key to successful email marketing is to keep your messages short and simple. If you cram a ton of information into a single newsletter, your recipients might feel overwhelmed and confused. As a result, it’s difficult for them to determine your message or retain any information from your email. By keeping your message concise yet relevant, your readers will have a better idea of what you’re really trying to say. If they’re interested in knowing more about your business, they’ll click-through to visit your website. Bear in mind that most users check their emails from their smartphones, mainly due to the portability and convenience it provides. Just be sure to measure the right amount of content, determine how many CTAs you’ll include, and customize your image format. These steps help prevent mobile devices from truncating much of your content. Bottom line — optimize your email for mobile devices. Now that you’ve created a concise message, it’s time to check how you address your readers. Avoid sending a generic marketing email with a “Dear Customer” greeting. It will only give them the impression that they got the same email that everyone else did. But, when your emails have a personal approach, your readers will feel that you sincerely want to provide the best solution that’s personalized for them. Think about it — would you rather be called by your first name or by “miss” or “mister”? Calling subscribers by their first name makes your email sound friendlier. Lastly, always include a Call-to-Action in your marketing emails. Encourage them to subscribe to your newsletter or explore your website to discover what else your business has to offer. 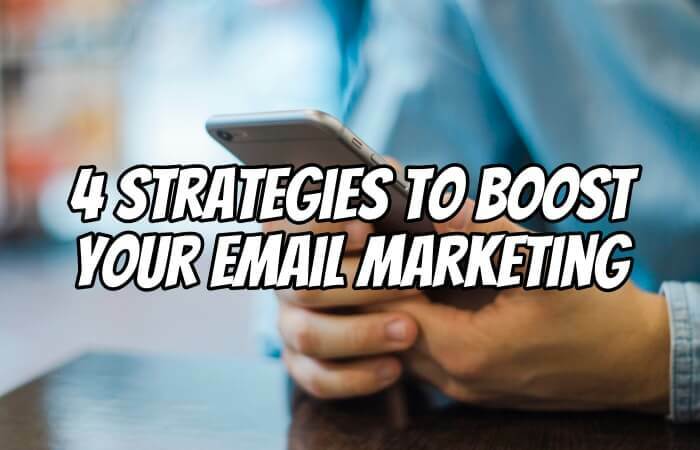 With attention spans becoming shorter and competition getting tighter, knowing the fundamental principles behind email marketing gives you the edge to stay at the top of your industry.